It’s August 10 and The GrowingDeer.tv Team and I are attending the Land and Wildlife Expo and QDMA National Convention here at the beautiful Gaylord Opryland Resort in Nashville, Tennessee. 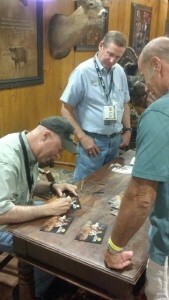 It’s been a fun couple of days in seminars, touring the indoor expo and meeting the GrowingDeer.tv fans. With all the activities and excitement going on, one thing hasn’t escaped my mind. 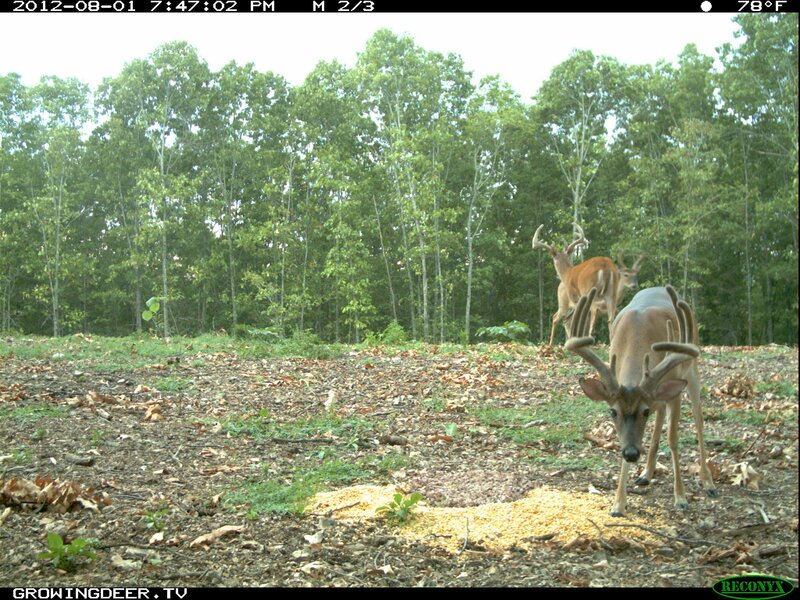 Wednesday morning before we left for Nashville, Grant and I were going through Reconyx cards and we discovered that Split Brow has been frequently using a camera survey location DURING DAYLIGHT!! These are the first images of Split Brow during daylight hours. Even better, he’s present multiple days, morning and evening, all during daylight. If any of you follow Grant on Facebook you may already know that Split Brow had an eye punctured during November of 2011. So now I find myself wondering: Has age and injury made Split Brow more susceptible to harvest? I HOPE SO! Because he has been nothing but a ghost in years past! One thing is for certain, it’s that time of year to be fine tuning your bow, treestands, and preparing your camouflage so when that big buck makes his appearance under your stand you’re 100% confident. Grant will continue with the part two of Scouting for Mature Bucks next week!